LOS ANGELES – Human medications including dropped pills sickened more pets in the United States last year than any other toxin. It’s the third year in a row that human medications top the American Society for the Prevention of Cruelty to Animals’ list of top 10 toxins, which will be released Friday. Over-the-counter medicines with ibuprofen and acetaminophen, antidepressants and attention deficit hyperactivity disorder medicine topped the list. Janet Hardie in Groveland, Calif., knows the danger well: Earlier this year, she brought home incontinence pills and set them on a table beside her chair in the living room. A while later, she looked down and Priscilla, her year-old Lhasa apso, was tearing into the blister pack. “She had eaten three. At least I couldn’t find them,” Hardie said. She and her neighbor called the ASPCA hotline in Urbana, Ill. A veterinarian had them weigh the dog and read the prescription information, then feed the dog a half piece of white bread and two teaspoons of hydrogen peroxide. Then they kept Priscilla active so the contents of her stomach would fizz and she would vomit within 15 minutes. “The doctor was on the telephone for about an hour,” Hardie said. “It was like having her here, she was so precise.” About a quarter of the 168,000 calls received by the hotline in 2010 were about pets who had swallowed human drugs, said veterinarian Tina Wismer, senior director of veterinary outreach and education at the center. The Pet Poison Helpline in Minneapolis, Minn., run by SafetyCall International, has handled more than 750,000 calls since 2004, said veterinarian Justine Lee, the helpline’s associate director of veterinary services. She estimated half their calls are about human medicine. The poison centers do not track deaths because there are too many variables. 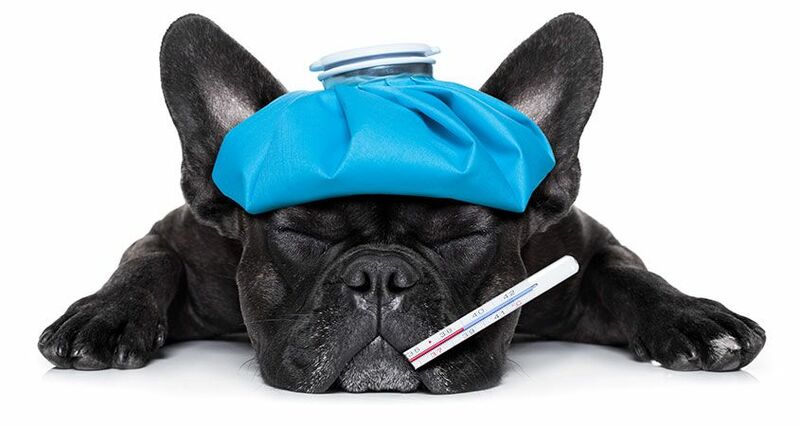 Pet owners won’t always know what their animals have gotten into — they just know they are showing symptoms like lethargy, vomiting, depression, seizures or refusing food. A dog who has swallowed pills to treat ADHD will get agitated. What happens when a pet gets hold of birth control, Viagra and Rogaine pills? “Luckily birth control pills today have very small amounts of estrogen in them. We use Viagra for dogs with pulmonary hypertension and it was originally marketed to regulate blood pressure. Rogaine can be very dangerous, especially in cats, and can cause heart failure,” Wismer said. One aspirin or one heart pill probably won’t kill a pet, but a month’s supply, a big bunch of grapes, a few bars of dark chocolate or a single lily could. Insecticides, rodenticides, people food, veterinary medications, chocolate, household toxins, plants, herbicides and outdoor toxins (like antifreeze and fertilizers) round out the top 10. Pills don’t take a holiday, but some of the toxins on the list seem to. “Chocolate season” stretches from Halloween to Valentine’s Day. And the darker the chocolate, the deadlier it is. Over the past few years, there has been a slight increase in the number of chocolate-caused deaths and a larger increase in the number of dogs ingesting life-threatening doses of methylxanthine, which is found in chocolate, Wismer said. “Dogs love chocolate and they are gluttons. They won’t stop eating it,” Wismer said. It would take about an ounce of milk chocolate per pound of dog to be deadly, but only an eighth of an ounce of really dark chocolate per pound, she said. Past Valentine’s Day lurks the danger of Easter — the time when cats come in contact with deadly lilies. If a cat bites on a leaf or bats at a lily and gets pollen on its paw, then licks it off, leave for the vet immediately, Wismer said. “They don’t know what it is in them that makes this happen, but three-quarters of a pound of grapes can cause very significant toxicity in a dog,” said Portland, Ore.-based veterinarian Jeffrey S. Klausner, chief medical officer of Banfield Pet Hospital, the largest animal hospital in the world with 770 clinics in 41 states. Alcohol — especially cream-based drinks like Russian eggnog — can make an animal very drunk very quickly. The animal will wobble, vomit, maybe inhale vomit into its lungs and become comatose, Wismer said. The majority of those calls come in on New Year’s Day, she said. Bread made from scratch can also be a problem. “The reason the dough is rising is because it produces gas, but it also produces alcohol so we can get drunk dogs that way too,” Wismer said. In addition, the dough will continue to expand inside the dog, she said. She also reports an increasing number of marijuana calls recently. “Dogs and cats like to chew on plants,” and munching on marijuana plants can increase their blood pressure.